Areva Martin is an attorney, activist, author, CNN legal analyst and legal contributor to several TV shows. Martin is best known as a regular co-host of the Emmy-winning talk show, The Doctors. Martin came from a humble background to become a well-known face on TV. Our Areva Martin wiki traces her journey to success. 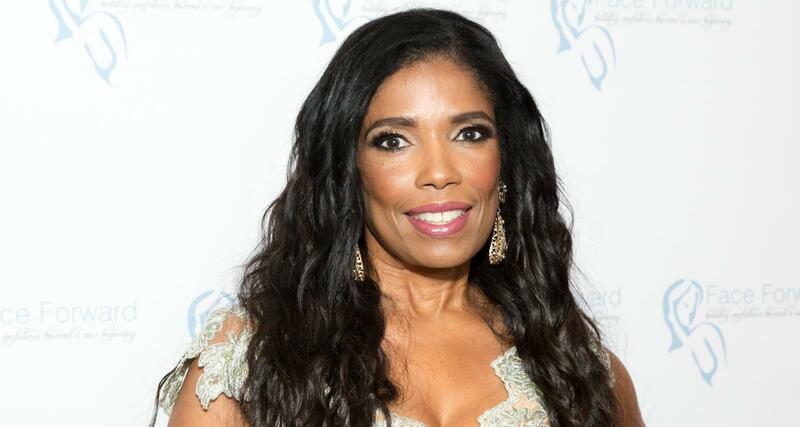 Born Areva Bell on January 28, 1962, Areva Martin turns 57 years old in 2019. The Missouri native grew up in the North St. Louis housing projects of Carr Square. She witnessed the civil and women’s rights movement in the ’60s and ‘70s during her childhood, which shaped her as a person. Join us in wishing our President Areva Martin and our outreach coordinator extraordinaire Connie a very Happy birthday!!! Martin’s parents never married and her father left town shortly after she was born. She met him for the first time after she graduated from Rosati Kain High School in 1980. Since reconnecting, they have developed a stronger relationship. Areva Martin was raised by her mother, whom she’s close to. However, her mother married another man and moved out of Missouri, while Martin stayed behind to look after her disabled grandmother. Martin grew up separated from her parents, but her extended family and community took care of her. Her grandmother’s best friend and Martin’s godmother, Ethel Thomas, had a big hand in raising her. Areva Martin often accompanied Thomas to her workplace, where she worked as a janitor, and helped her clean and take out the trash. Martin credits her godmother for instilling a strong work ethic in her. Martin now resides in Los Angeles, but often returns to St. Louis. Most of her family, including her older brother and cousins, still reside there. Growing up, Areva Martin watched crime dramas like Perry Mason, inspiring her to become a lawyer. The iconic TV defense lawyer was Martin’s attorney role model. The young woman would go on to received her bachelor’s degree in economics from the University of Chicago. She paid for college with a combination of scholarship, loans, and on-campus jobs. But Martin’s underprivileged background made her the subject of bullying by upperclassmen. Nonetheless, she persevered with hard work and graduated with honors. Martin went on to acquire her Juris Doctor from Harvard Law School, where she also learned some important life lessons outside the classroom. She saw her peers already working on networking their way into corporate jobs. But she didn’t see herself working in corporate law. Instead, Areva and her husband, Ernest Martin Jr., founded Martin & Martin, LA’s largest minority-owned law firm. They specialize in ADA, Employment and Housing Disability Discrimination, Family Law, and School Law. She often works with parents of children with special needs whose civil rights have been violated. While she was still at Harvard, Areva met LA native, Ernest Martin Jr. They married and together founded their law firm. Areva and Ernest are parents to three children: two girls they named Michael and Morgan Martin, and a son, Ernest Martin III, who the family calls Marty. Marty was diagnosed with autism when he was around two years old. Family is forever. ? They hold your hand through the ups and downs of life. And family is not just defined by blood or last name. It’s defined by commitment; and includes the people you let into your heart and your inner circle. They are the people you trust with your dreams, fears, failures and hopes. Family knows that we may not have it all together but together we have it all. Find your tribe in 2019. Love them hard. Cherish them dearly. Areva Martin confessed that at first she had to learn how to be a caretaker of a child with autism. However, there weren’t many people to ask. Her own experience encouraged her and her family to become advocates for autism spectrum awareness. She co-founded Special Needs Network, a nonprofit for children with developmental disabilities and their families. The organization offers families access to training, support groups, and even legal consultation. Her work with the Special Needs Network has won her several awards and honors, including Los Angeles County Woman of the Year Award, L’Oreal Paris Women of Worth, and KCET Local Hero Award. Martin also contributes on different issues to publications. But it’s the books she has authored based on her experiences that are most popular. Her first book was Journey to the Top, a step-by-step guide to succeed professionally based on her own story as a career woman. Martin’s book, The Everyday Advocate: How to Stand Up for Your Child with Autism, is an acclaimed guide for parents of children with autism. Her most famous book to date is Make It Rain! How to Use the Media to Revolutionize Your Business & Brand. “Make it Rain” would go on to become her signature brand. Martin’s work in autism advocacy and her books have garnered her appearances on TV shows, which she has used as a platform for her cause. Martin is a regular appearance on Dr. Phil, where she discovered her knack for giving a compelling soundbite. Her Dr. Phil appearances led to more TV shows where she had to opportunity talk about autism. Martin’s gone on to appear on Anderson Cooper 360, Nancy Grace, Good Morning America, ABC World News Tonight and Dr. Drew On Call. She currently co-host’s The Doctors and is on the panel of CBS’ Face The Truth, hosted by Vivica A. Fox. But her media appearances don’t always go smoothly. On January 15, 2019, Martin was a guest on the SiriusXM radio show hosted by David Webb, a Fox News anchor. During the segment, Webb credited his rise in the media to his qualifications. At that, Martin said “Well, David, that’s a whole ‘nother long conversation about white privilege, the things that you have the privilege of doing that people of color don’t have the privilege of.” However, the man Martin is accusing of “white privilege” is a black man. Webb proceeded to tell her so and she apologized saying “my people gave me wrong information.” However, the online community has slammed her for her blunder.